Willis Janes was the youngest of three sons of William and Amelia Janes, and was born in Long Crendon in 1889. He also had two step brothers and two step sisters from a previous marriage of his father, who was a local police constable (died in 1889). A pupil of Lord Williams’s Grammar School, Thame, he went on to become a school master at the Homes for Little Boys in Farningham, Kent (a school for homeless and destitute boys from London). 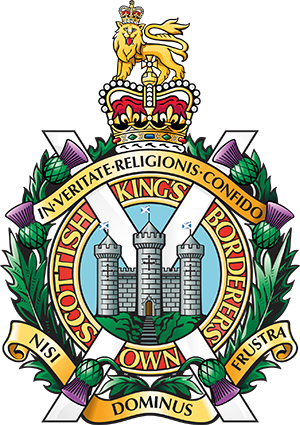 Willis enlisted as a private at the beginning of WW1 with the Kings (Liverpool Regiment), Territorial Force, and then, in October 1915 was gazetted as a 2nd Lieutenant with the 6th Battalion, Kings Own Scottish Borderers. Having recovered from an earlier wound he returned to the front in October 1916, and on 6th January 1917 he was once again wounded, this time seriously. Evacuated to the British General Hospital in Le Treport, he succumbed to his wounds on Monday, 22nd January 1917, aged 27. His burial took place in the Le Treport Military Cemetery on the following day, in the presence of his brother Lieut Ernest Janes, RAMC, and other officers. 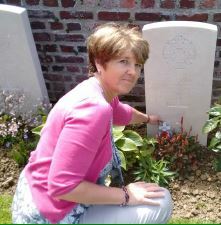 His accumulated war pay and gratuity totalled over £80, and was forwarded to his mother Amelia. He is remembered on the Long Crendon war memorial, and in Thame on the Lord Williams’s School memorial board.